This gift set of four magnets feature four apothecary trading cards from our collection! 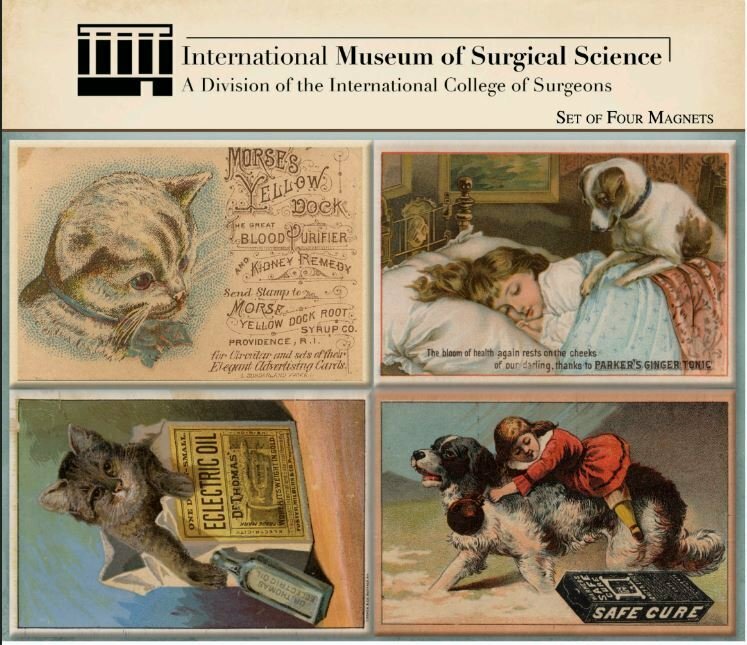 Show your support of the International Museum of Surgical Science in style with these "apothecary pets" themed magnets. Displayed on a collectable card with identifying information on backside. Made in USA by Museum Products, Inc.